Now to be honest we knew nothing of the Mildenhall Cycling Rally other than it was the first race scheduled for the Bank Holiday Monday on the Elmy Cycles Eastern Cyclocross League calendar, but with poor weather on the radar we looked into the possibility of competing in the grass track event on the Saturday so as to enjoy a full day out. 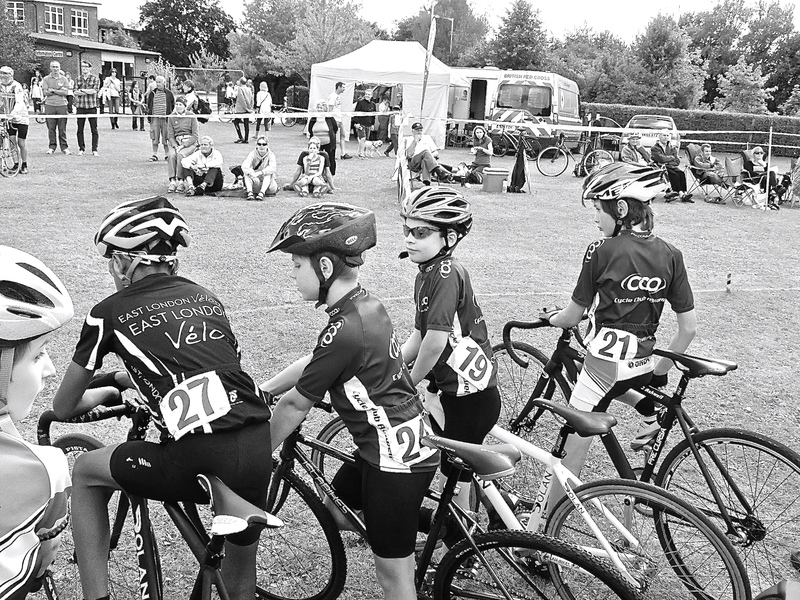 Again, what we knew of grass track racing could be written on a postage stamp, so a portion of Friday evening was spent on Google plus a phone call to Mark Fraser of Youth Cycle Sport whose club CC Ashwell specialise in the discipline. Also CJ had not ridden a fixed wheel track bike for two years since attending sessions at Welwyn Wheelers, but after the call and some reading it was apparent that the track bike supplied by his club would be okay following a change to a shorter 155mm crankset with SPD pedals, though with lack of clearance in the forks we would have to run road as against cross tyres, but with good weather forecasted CJ thought it was not an issue for him and welcomed the challenge. 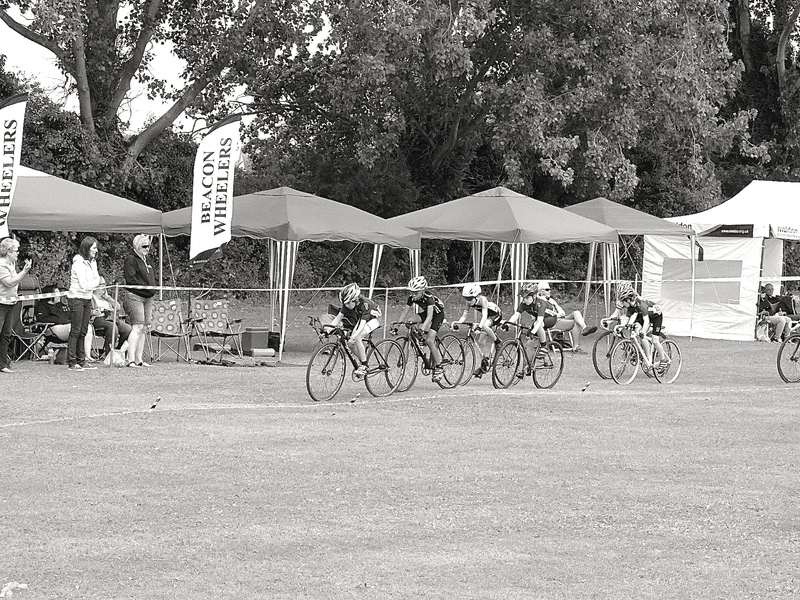 The Rally is hosted by Mildenhall Cycling Club and commentated by Max Pendleton, father of Victoria and legend has it that it was one of these rallies as a girl that saw her potential. Also, the likes of Laura Trott have ridden the event and as for grass track clubs around the country, the Mildenhall Rally is the premier event on the calendar… Now CJ would have to compete in five Youth Omnium events during the day and first up was the 1st heat of the one lap sprint, Now for the once I had a part to play being required to push start him into action which was poorly executed as the first turn saw him in third position, but he launched his attack down the back straight to take the win and proceed to the finals. After other categories were run he was soon up for the final where he pulled the same move to take the victory by a few bike lengths and was now awaiting the heats for the 2 lap sprints. 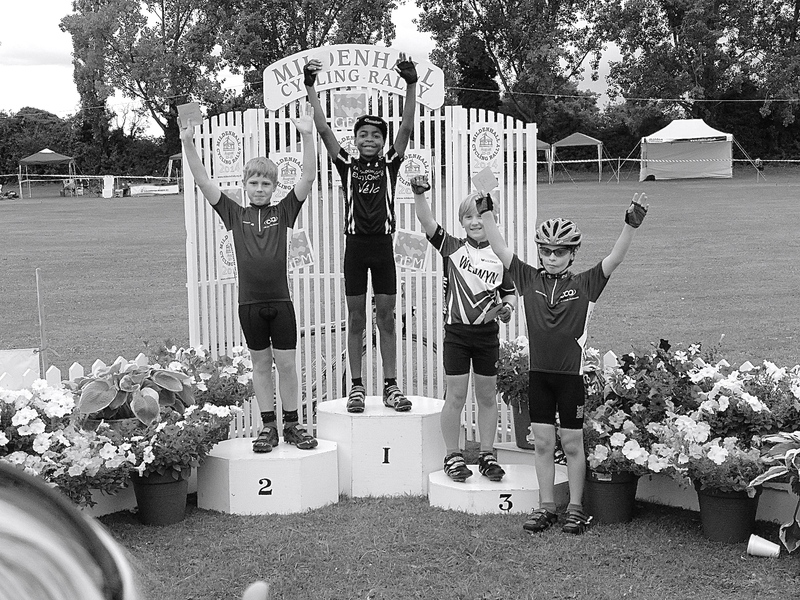 CJ progressed to the finals again and this time he had to sit in the group for the first lap, but on the bell he moved into first place being chased by Nathan Hardy of Ashwell CC and held him off to the line making two from two. Now as the last two races were handicaps he only needed to take at least a second place in the third event known as the ‘Devil’ for the overall win. Each lap the last two racers over the line would be cut until only three remained and as there were more laps involved CJ worried if he would run out of steam before the bell…. As the laps dropped CJ hovered in the lead group but on the bell he was blocked around the turn but soon made his move down the back straight to first position which he again held against Hardy to the flag. 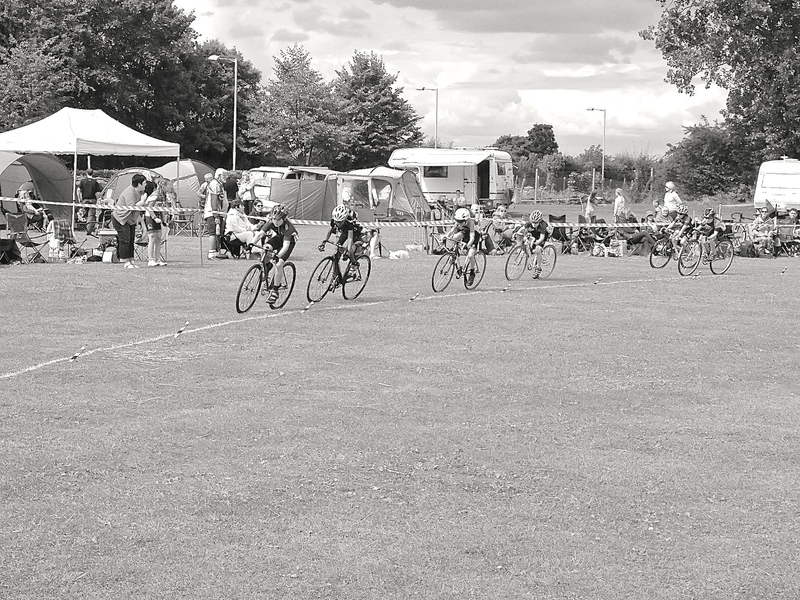 As experiences go we enjoyed the relaxed but hard racing event and the organisation by Mildenhall Cycling Club with all involved was superb…. Maybe next year we will stay for the whole three days of the Rally especially being the 50th anniversary. Congrats to CJ – he is a real talent. 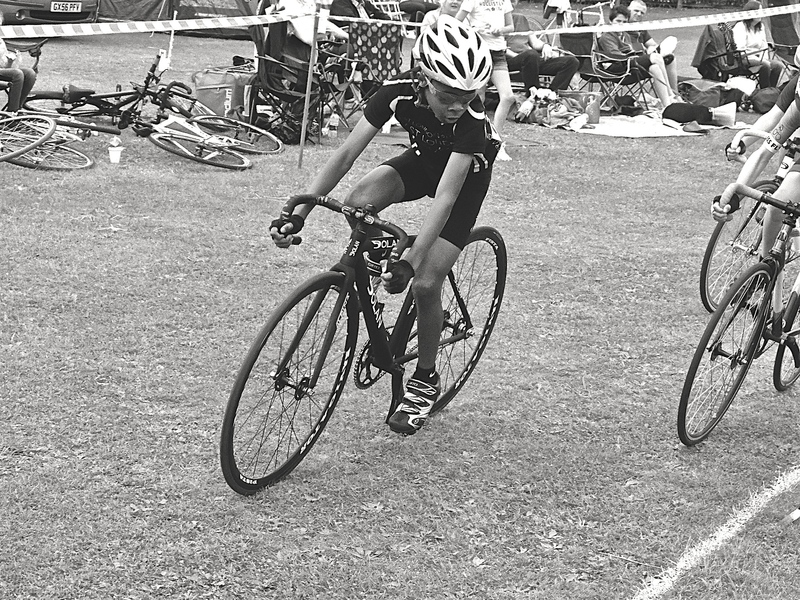 It was Olly’s first time grass-track racing too and he’s caught the bug – he slept well that night too 😉 Lucky kids to have such a friendly event to participate in.